The following picture shows the piston skirt in the liner with the skirt on upside down. Red arrows point to bottom of skirt. The next picture shows the bolts broken in the piston pin and the top of the piston skirt pointing down. Conclusion: The cause of failure is assembly error. Piston skirts were installed upside down on the pistons. When installed in this manner the skirt can make contact with the crankshaft throws. 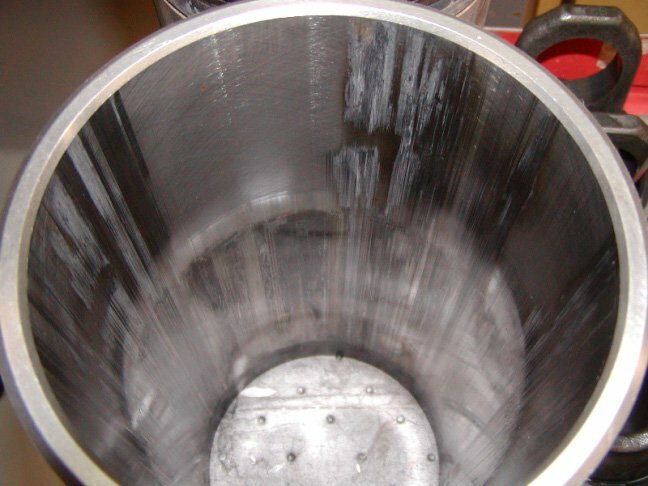 This will place excessive loads on the connecting rod retaining bolts causing them to fracture. 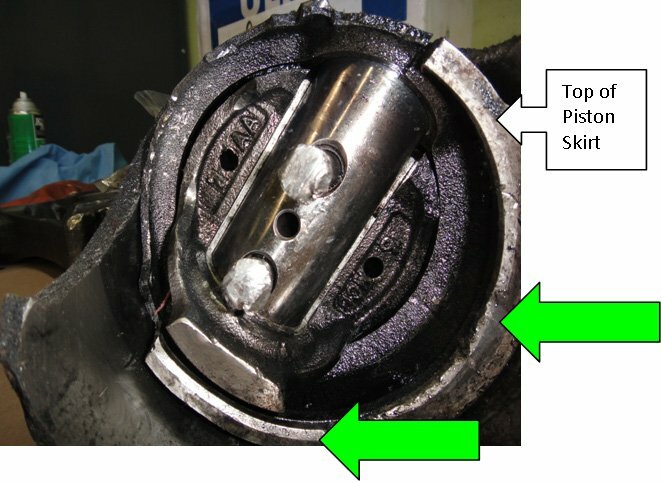 The following pictures show scuffing on piston skirts. The first two pictures show light scuffing on the major thrust side of the skirt and only a few scratches on the minor side. 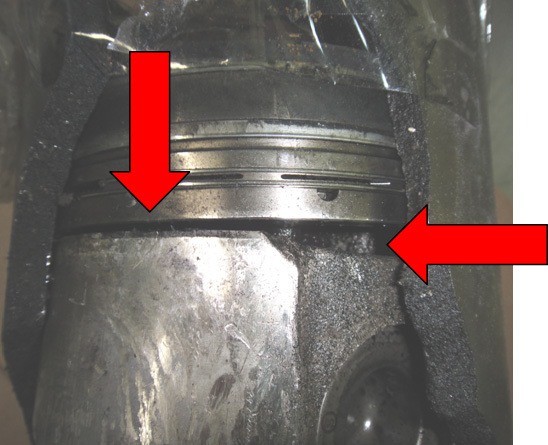 The next picture shows both sides of the piston showing heavy scuffing. The final picture is the inside of the liner showing 360 degree scuffing on the upper half of the liner and the quarter point on the lower half. Liner is upside down in this picture. Conclusion: Both failures are caused by overheat. The most likely cause of the scuffing is low coolant.